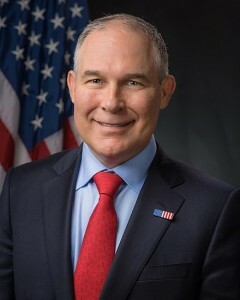 According to the Washington Post, EPA Administrator Scott Pruitt will revisit Obama-era vehicle efficiency rules. Obama’s policy to address climate change would raise efficiency requirements on the nation’s automobile fleet to more than 50 miles per gallon by 2025. The Trump-era proposal would freeze the emissions standards at 2021 levels. The new plan would also challenge California’s ability to set its own fuel-efficiency rules. A lawsuit — filed by California with support from other states and environmental groups – aims to try to block the overturn of Obama’s policy.